A while ago I was doing a large VSI project in a XenApp environment. While the results were not what we expected, I wanted to rule out that the bottleneck was XenApp itself. 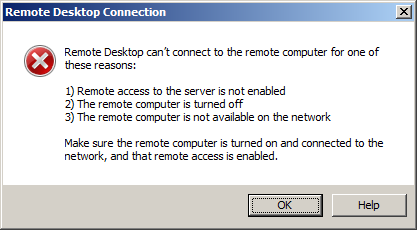 So using RDP as a connection protocol instead of ICA. After doing some changes on the servers I tried to logon using MSTSC. It gave me a nice error message and didn’t allow me to connect. As said in my previous post, I had some issues with deinstalling the Desktop Deployment Controller (DDC) after configuring the reverse lookup zone to get my DDC’s working. When pressing uninstall, the process stopped within a few seconds displaying a “failed” status. I’m working on a nice Login VSI benchmarking project at a customer. This is an VDI environment of 1500 machines on vSphere hosts (FlexPod hardware which has Cisco UCS Servers, Cisco Nexus switches and NetApp storage built in). We’ll be using the NetApp Rapid Cloning functionality instead of XenDesktop Machine Creation Services. I probably will blog about it when we used it and have a decent overview. The broker software of choice is XenDesktop 5.6. Now, I did some XenDesktop installations before, but never on this scale. XenDesktop is a relative next-next-finish install, so I didn’t think I would run into problems at the installation stage of the Desktop Delivery Controllers (DDC’s). Well… I was mistaken. Well, it’s about time I put my little space on the web to some use. I’ve had this domain for over a few years already, without putting anyting usefull on it. Ok… there was this time that I created some applications for the Media Service Portal Community, but that was a long long time ago. I always had in mind to start a blog about IT-related stuff and put this space to good use. So now I’m starting bloggin about stuff that I think is interesting or usefull to share (I say “I think”, since the word “interesting” is a subjective word). I just hope you will share my opinion on this. 🙂 Now the challenging part will be to bring and keep this blog alive. To learn more about me, check out the About Me page.